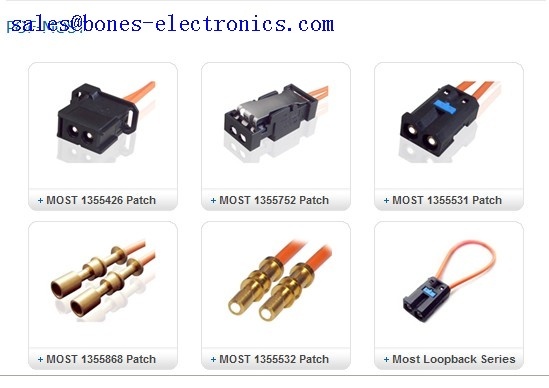 As a leading manufacturer of POF MOST patch cord and cable assembly, we we offer a complete product range of POF MOST connectors such as POF MOST-1355532, POF MOST-1355531, POF MOST-1355426, POF MOST-1355752, POF MOST-1355868 for POF Cable Assembly and POF Patch Cords provide a complete range of components for MOST 25 and 150 networking system such as eMOST, including PCB and harness connectors, cable assemblies and processing equipment. Application: Physical layer product range to connect multimedia and infotainment devices communicating on the MOST Network. 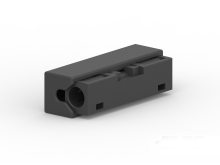 Strain relief, diagnostic connector, dust and protection covers. Remark: The color and cable length of above POF car MOST pof patch cord can be customized according to customer's requirements. For details, plz DOWNLOAD CATALOGUE.